The Grevy’s Zebra is a species of highly endangered equines that are found in a very limited region in the continent of Africa. With a rapidly declining population, at present, there are only about 2,200 specimens left in the wild. 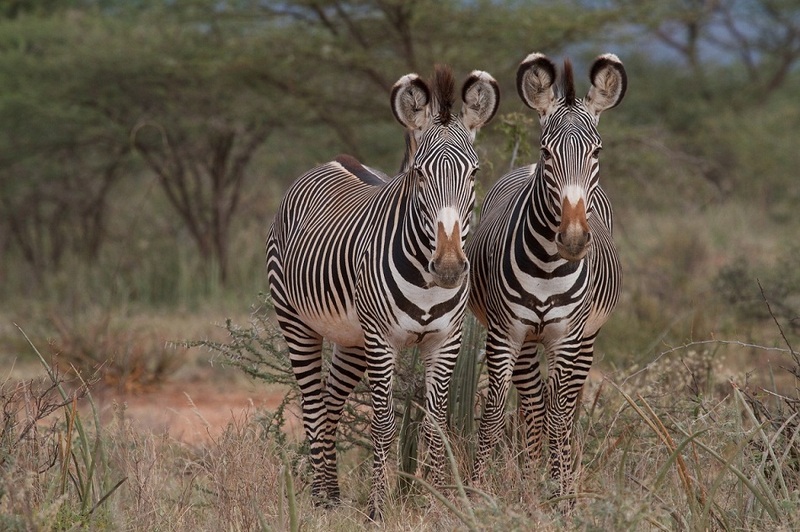 With thicker stripes and bigger ears, the Grevy’s zebra is the largest of all the zebra species. Size: From head to rump, the total length is 125 to 150 cm (50-60 inches). Weight: A healthy, well-built adult weighs between 350 and 450 kg (770-994 pounds). 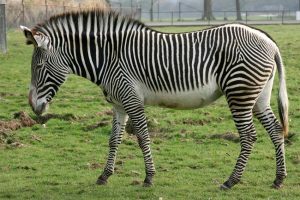 Body Fur/hair/coat: Like other zebra species, they are white with black stripes, with each zebra having a unique pattern from the other. Tail: Small to medium size tail hanging downwards with a tuft of black hair at the tip. Sexual Dimorphism: No distinct differences can be noted between the sexes, except that the males are somewhat larger. 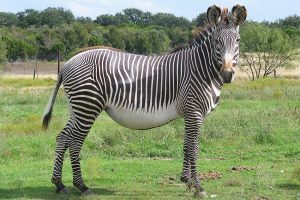 Grevy’s zebras can live up to 20 to 25 years in the wild, whereas, in captivity, they live to between 25 and 30 years. Its present range of the species is severely limited. 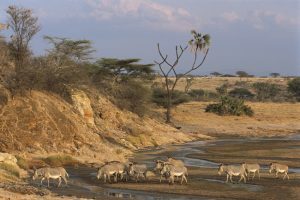 It is found only in the northernmost scrublands of Kenya, while only three small isolated subpopulations are living in Ethiopia. 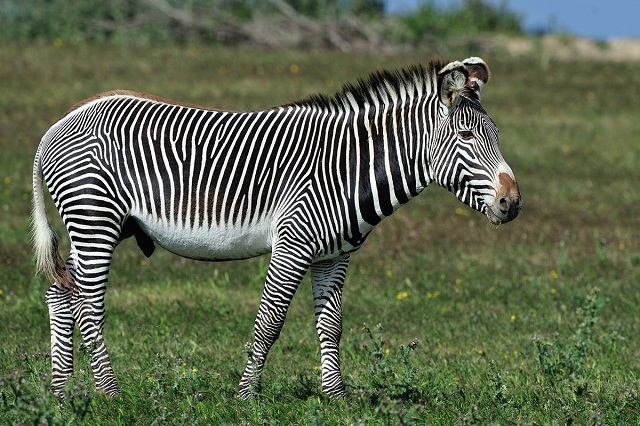 The Grevy’s zebras are predominantly found in the grasslands and the savannas within their range. 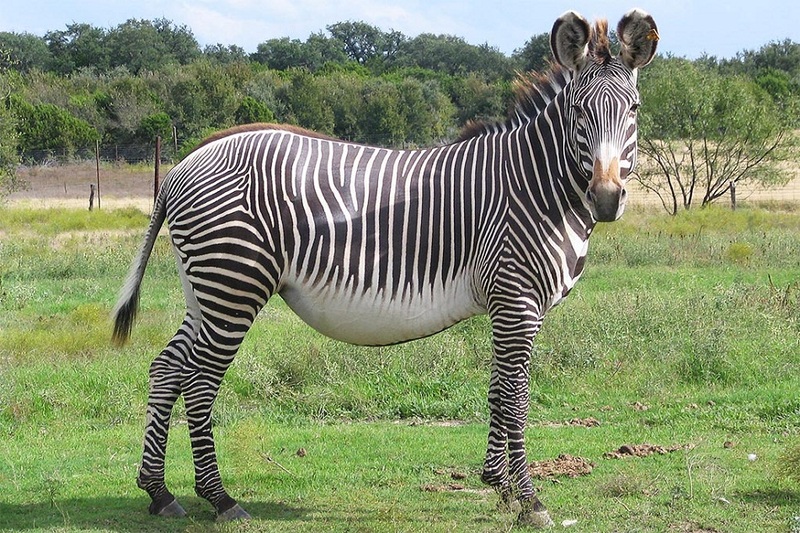 Currently, no subspecies of the Grevy’s zebra has been defined. The Grevy’s zebra has such a social structure that is adapted well for the arid and dry plains and scrublands these equines mostly inhabit. They move around in small groups consisting of mostly adults and communicate over long distances using donkey-like braying sounds/calls, associating with each other for only a few months at a time. When the mating season comes, high competition between male individuals over mating rights can be noticed. The stallion members of the same group are seen getting belligerent with each other by means of rearing, pushing, biting. 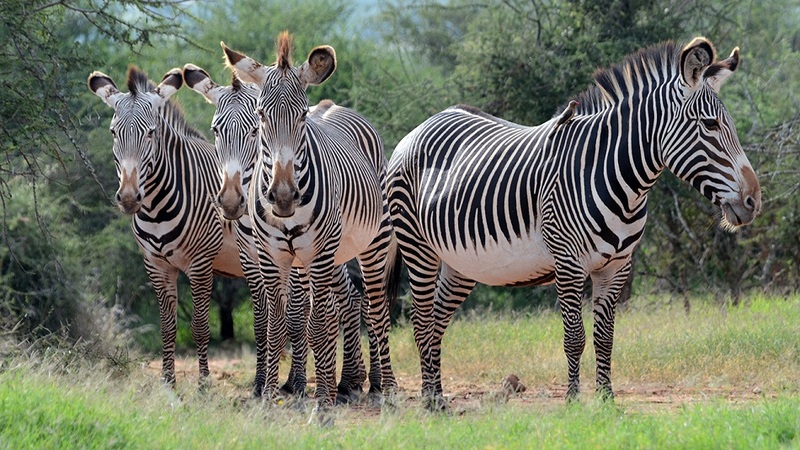 In the group of these zebras, the females also possess a hierarchy; however, they have been seen getting involved in grooming each other in order to establish a good relationship. The males of the species are highly territorial and display their leadership of a particular territory by marking them with piles of dung called ‘Midden’, as well as urine. 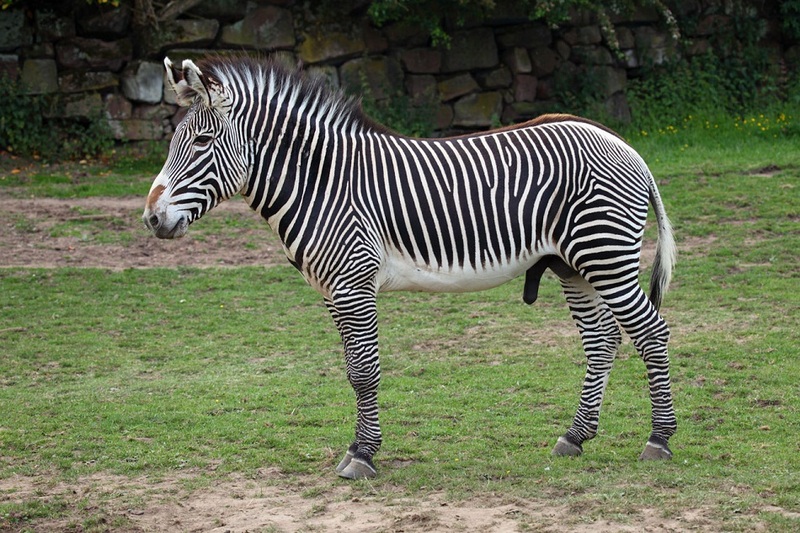 The males usually lead a solitary life within their territories unless the female zebras pass through during mating. 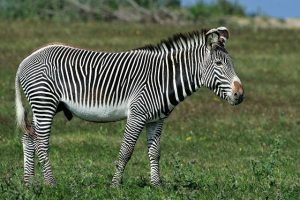 The herbivorous Grevy’s zebras mainly thrive upon grasses; however, they would also consume bark, fruits, leaves, and other plant matters. After mating, the female Grevy’s zebras normally give birth to one single foal at a time, undergoing its gestation period of about 390 days. The mother zebras leave its herd prior to giving birth to the young in heavy brushes. During the initial two days of the birth of the juvenile Grevy’s zebra, the mother zebra drives away other members of the group. As the baby begins to grow, they join the nursery group. The newborn young zebras orient on the rump and tail pattern of their respective mothers. Juveniles are weaned when they are around nine months old. The female Grevy’s zebra babies become independent from their mothers between 13 and 18 months of age; however, the male babies continue living with their mother until they are about three years. When the young zebras become independent, the adolescents move freely from one herd to the other. The mares attain the age of sexual maturity when they are around two to three years old, while stallions take almost six years. Because of the poor nutrient content in the plant matter in their range, the Grevy’s zebras have the ability to consume large volumes of food at a time. Like many other zebra species, the long stripes across their bodies help them camouflage easily in the tall grasses of the savanna grasslands. Apart from their excellent senses of hearing and taste, the Grevy’s zebras have very good eyesight even during nighttime. By evolution, they have developed a binocular vision to detect movements (and locate any danger easily, since they live in open grasslands where there are fewer places to hide). 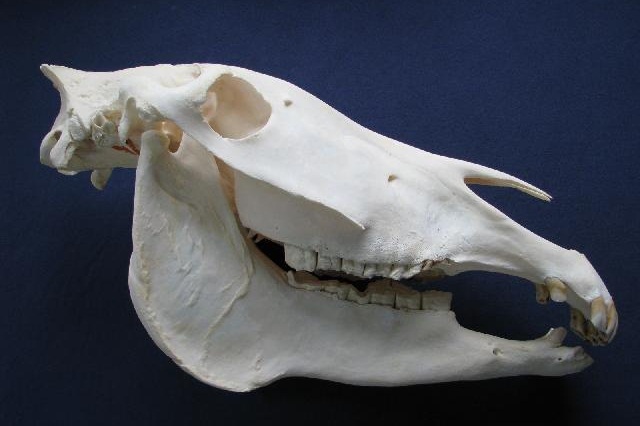 The primary enemies of these equids are lions, hyenas, African wild dogs, and humans. However, the African hunting dogs, cheetahs, and leopards also attack the juveniles, though they almost never attack the adults. With their declining population, the IUCN 3.1 has enlisted the Grevy’s zebra under their ‘EN’ (Endangered) list. 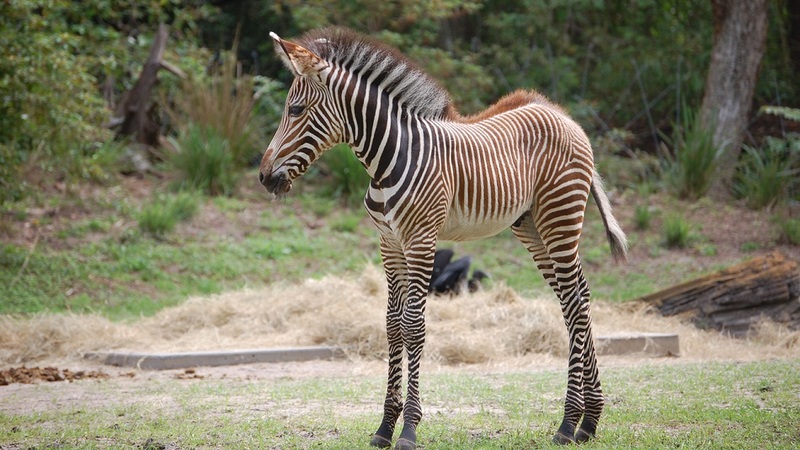 The gestation period of the Grevy’s zebra is the longest of any equine species. The species is considered to have gone extinct in Somalia. When seen from behind, these animals display a gleaming patch of white on both sides of their tails, which is why they are known as Loiborkurum (meaning “white-rumped”) in the local Samburu language. 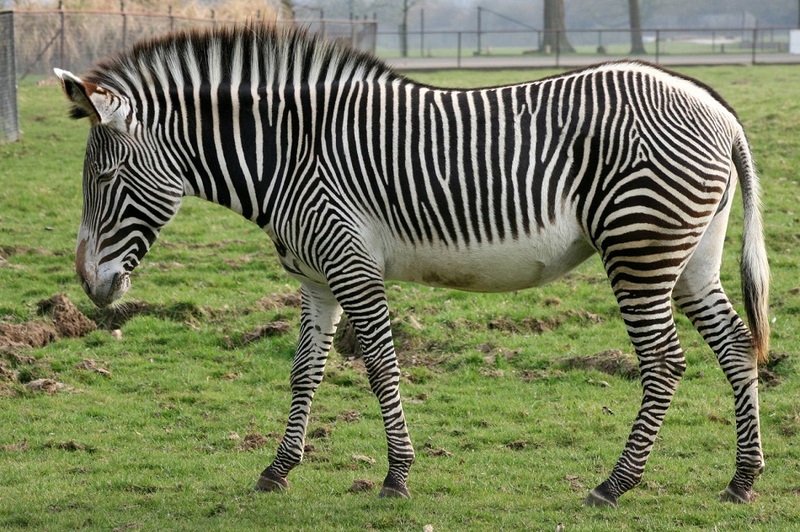 These zebras spend about 60% of their day eating. The Grevy’s zebra has been named in honor of the president of France’s Third Republic, Jules Grevy, to whom the first known specimen of the equine was sent in 1882.